A posse of friends at Jackie Parker’s wedding. 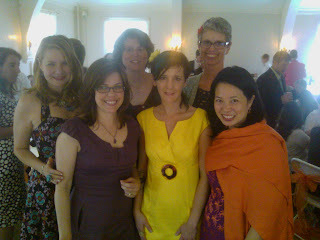 Here we are, readergirlz all. Oh you all look beautiful!